Hollywood’s #1 LA Club Crawl provides a unique tour to the best Hollywood Nightclubs. Meet new people every Friday and Saturday night while partying. 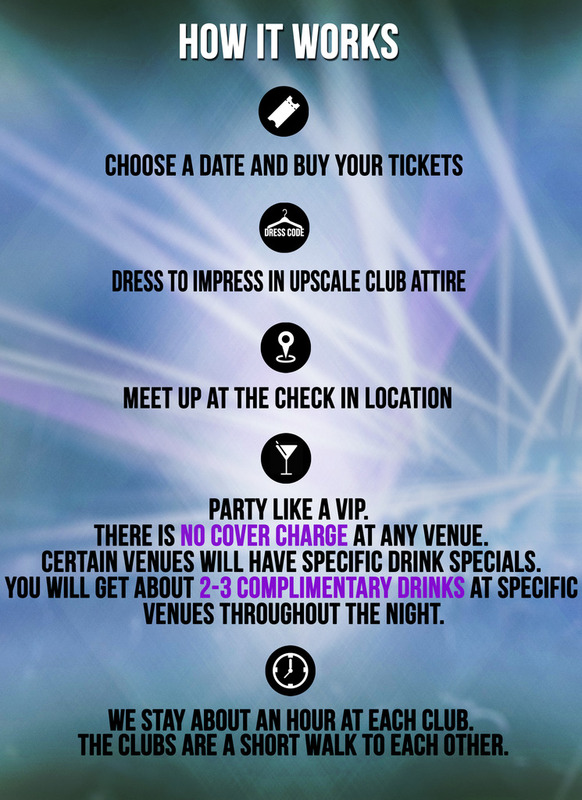 The LA Club Crawl offers a VIP experience that allows guests to skip long lines and avoid paying any cover charges. We provide a host who guides you from Club to Club. The host will go over all details of the night when you check in. Registration is at 9:00pm. Please do not show up late.